The technology seems to be paying off with higher sustainable clock rates and measurably faster performance over a span of time. As detailed in our overview of the technology, Dell’s Dynamic Power Policy directly addresses throttling issues in newer laptops by allowing the CPU to safely run warmer and closer to its throttling temperature without necessarily reaching it. As a result, higher clock rates can be obtained when compared to competing notebooks that do not utilize a similar approach. Our full review on the XPS 13 9370 is still ongoing, but initial test results are painting a clear advantage for Dell’s unique thermal management system. We put its Core i5-8250U through our usual CPU performance test by running CineBench R15 Multi-Thread in a loop with final scores on each consecutive run shown below. The fluctuating scores may seem a bit alarming at first, but the general 540 to 630 range is noticeably higher than other similarly equipped notebooks subjected to the same CineBench loop test. As an example, the two graphs below show the XPS 13 9360 and HP ProBook 470 G5, respectively, each with the i5-8250U CPU throttling and flat-lining at lower final scores. While it’s a little disappointing that the new XPS 13 cannot maintain its high initial score throughout the entirety of the test, this was never the idea in the first place. The Dynamic Power Policy aims to maximize Turbo Boost potential given the thermal limitations of the notebook design and, on average, the XPS 13 9370 is still able to run at higher clock rates than both the HP and older Dell model. 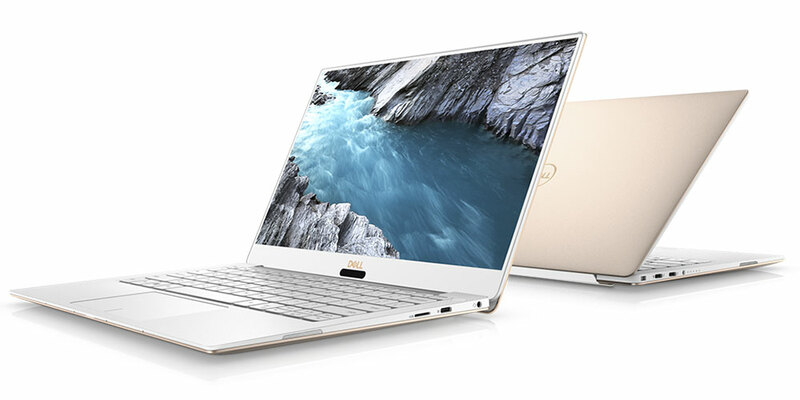 Similar fluctuations in core temperature over time can also be observed on the new XPS 13 ranging between 74 C to 84 C whereas most other Ultrabooks with ULV CPUs tend to stabilize at a single temperature only. Expect to see our final analysis on the XPS 13 9370 and more on its performance in our full review soon.